← Gas warfare: Could it be Inulin? I find it hard to believe, but ten years ago today, I arrived in the US for the very first time. I find it worth reflecting on this – personally quite meaningful and memorable – anniversary. And I do remember the day quite well. February 19th, 2001 was a Monday, but a holiday. President’s day, to be precise. That’s when I made landfall at Boston’s Logan Airport. The reason for my visit was a research assistantship with Steve Kosslyn at Harvard University, which I started the very next day. I remember that I was classified as a “visiting scholar” in my J-1 visa. The contrast to today cannot be exaggerated, both in terms of personal as well as world affairs. I might be justly accused of nostalgia, but it seemed to be a more innocent time. The new millenium had just begun (contrary to popular belief, it started on 01/01/2001, not 01/01/2000). 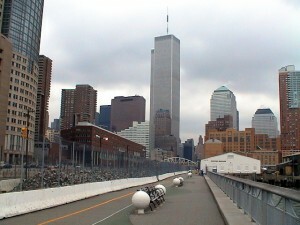 Notably, the twin towers in New York were still standing, peacefully. George Bush II had just taken office. Different kind of issues commanded public attention. The Y2k scare was still fresh in memory, AOL had just merged with Time Warner but the dot-com bubble was already deflating. Ironically, the internet as we know it today had not yet taken shape. Most people were using Yahoo instead of Google while Wikipedia was in its very early infancy. Facebook and Youtube had not even been conceived yet. To the general public, blogging appeared as exotic as using cell phones or shopping online. “The Matrix” was an – excellent – standalone movie. DVD’s were cutting edge and the “Mir” was still in orbit, albeit barely. It is hard to remember this, but Apple seemed to be in terminal decline (pre iPod, OS-X, iPhone, etc.). Dialup was still standard. While it might be a personal failing, I had yet to make a single powerpoint presentation. Up to that point, I had used actual slides and made handouts for my talks. I also went to the actual, physical library to find articles. The Germany I left had just introduced reality TV (anyone remember “Big Brother”? ), had not yet introduced the Euro, was still using the same spelling it had always used (the new spelling had been introduced but de facto, no one was paying any attention – yet) and Hartz was associated with a mountain range, not employment status. From todays perspective, all of this seems quite quaint, but in short: Those were very different times. This is also true on a personal level. Apart from vacations, I had spent my entire life in Germany, first in a small village, then in Berlin. The previous year, I completed my undergraduate education at the Free University of Berlin, suffered through a bad breakup, became a German National Merit Scholar and got involved with a student initiative to reform higher learning. So while I couldn’t complain about a lack of excitement, the way ahead was wide open, yet entirely vague. The feeling is perhaps captured best by Rose in James Cameron’s Titanic (1997), who utters: “…with nothing out ahead of us but ocean.”, as the ship clears the coast of Ireland. This highlights the central difference between then and now: I was young, really young. But I was entirely unaware of it. Thus, I was facing the central dilemma of real youth: On the one hand, possibilities are as infinite as they are open. Yet, decisions about which of these opportunities to pursue (and by implication, which of them to forgo) need to be made. However, the necessary knowledge to make these decisions in a responsible way is simply missing, more or less completely. What’s worse, even the very awareness that this knowledge is absent or deficient is itself sorely lacking. Of course, this is only apparent with the hindsight of many years or even decades. In other words, this is a perfect recipe for making copious errors of omission *and* commission, and thus a perfect recipe for infinite regret. What might be helpful in such a situation is the infusion of valid outside knowledge. But this is hard to come by. First of all, the person who will need it most is unlikely to seek it out, for reasons pointed out above. Second, a person who possesses such knowledge – like a seasoned mentor who navigated this minefield himself at some point – is rare. In the worst case, his advice biases the decision making in ways that are not helpful. There are no guarantees that the same rules that the mentor learned during his life still apply. The world might have changed, and as we saw above, that is almost certainly the case. There are also no guarantees that he understands the situation fully or that he doesn’t have an agenda of his own. Certainly, most of us do incorporate outside information, yet of a quite dangerous kind. I am of course talking about entertainment, be it in the form of books, movies or TV. Like it or not, our own (extremely limited, in youth) life experience is complemented by copious amounts of what might best be called “fantasy”. These unrealistic – scripted for entertainment value, dramatic effect and derived from the imagination of an author -models of reality have a measurable impact on our conception of reality. They do bias our prior unfavorably. Instead of citing the literature, I will just give a brief illustration. I remember 02/19/2001 to be a bitterly cold day. Those who live in the New England area won’t be surprised by this. Neither am I, now. But I was – then. Of course, I had read guides about the climate in the area. But on a quite visceral level, I sincerely expected it to be warm and sunny. I also expected the streets to be more or less lined with California girls. Why? Because that’s what I had seen on TV all my life. On the other hand, I expected everyday life to be quite similar to what I was used from Germany. Yet, the cultural differences were shocking and plentiful. I won’t elaborate on them here, but they could fill a book or two. In short, I was extremely naive, perhaps even clueless. At this point, I would like to express my sincere gratitude to those who put up with me those first few years while I was learning the lay of the land. Back to the central dilemma, there seems to be no way out of it or to avoid it entirely. Worse, there are no do-overs in our shared reality. Some end up at the right place at the right time and are successful. Others are not. Should this be called luck? Does it qualify any achievement or failure? The intervening decade was extremely eventful, to be sure. After briefly returning to Germany, I ended up staying in the US, getting my PhD, marrying, moving to New York, publishing a book and pursuing an academic career, among a plethora of other things. There were many, many alternatives to each of the particulars that were eventually instantiated in reality. On that day, I did not (could not?) anticipate at least 99.9% of the events that I was personally involved with in the ensuing decade. Not even time will tell if my particular decision making was wise or not, as we don’t know the counter-factual, the outcome of all the roads not taken. Thus, the most sensible philosophy to adopt from all of this is perhaps to deliberately keep gaining knowledge about action outcomes from all the experiences that are made, limit the impact of outside knowledge in a careful and explicit way, try to retain the flexibility of youth as much as possible while avoiding to beat oneself up about failings that are inherently associated with a particular situation, not person. This entry was posted in In eigener Sache, Life. Bookmark the permalink.